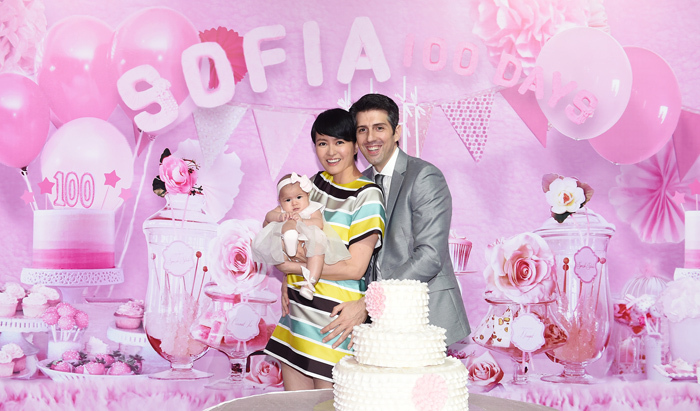 Gigi Leung (梁詠琪) and her Spanish husband Sergio Crespo Gutes recently held a lavish banquet to celebrate their baby daughter Sofia’s 100 days of birth. Held at the Four Seasons Hotel, the ballroom was decorated to resemble a magical kingdom. 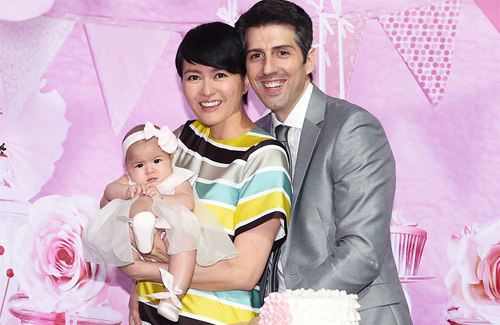 The party was an extravagant affair attended by over 200 guests, including Charlie Young (楊采妮) and Valen Hsu (許如芸), who are also Godmothers to baby Sofia. Gigi also took the opportunity to raise funds for the recent earthquake that devastated Nepal, and set up a donation box for the Nepal earthquake at the reception. She said that Sofia was fortunate and blessed to have received many gifts from friends, family, and sponsors. Gigi urged her guests to refrain from buying further gifts for Sofia and to instead channel the money towards a good cause. 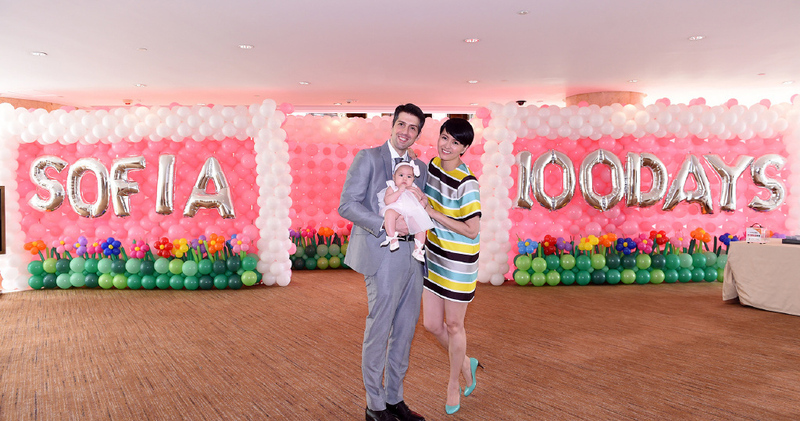 As for Sergio, he made a surprise speech in which he thanked God for blessing him with Gigi and Sofia, and thanked Gigi’s mother for helping to look after Sofia. While preparing his speech, Sergio was moved to tears on a few occasions. Sergio ended his speech with the promise to do all he can to give Sofia a healthy and happy upbringing. Does anyone know how old is her husband? LOL .